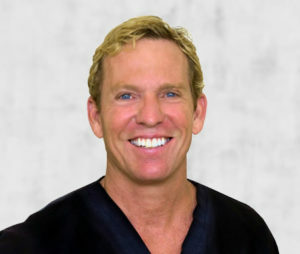 Dr. DeLange and Dr. Guiloff are Board Certified Plastic Surgeons in West Palm Beach and together, with a full team of professionals, provide the most comprehensive care available in Plastic surgical improvement. At our well equipped, AAAA Certified facility, we provide the sense of privacy and confidence that we all seek when undergoing any surgical procedure. Our highly experienced Surgical Nurses, Anesthesiologists, and Technicians are continuously being trained in the latest, most advanced techniques to obtain the best results possible. We take great pride in our personalized pre and post operative care. Click here to read our 4 tips for choosing the best plastic surgeon for you. The NeoGraft Automated Hair Transplantation system is a leading edge technology for men and women looking to restore their hairline. Follicular Unit Extraction (FUE) method gently removes the individual follicles from the back of the head (the “donor area”) in their naturally occurring groupings of about 1-4 hairs. The follicles are then artistically implanted in the areas of the scalp where balding has occurred to complement the facial structure and current hairline, resulting in a discrete, natural-looking hair transplant. NeoGraft’s minimally invasive hair transplant procedure is a much more desirable option for both men and women as opposed to traditional hair restoration methods. Our Medical Aesthetics Group offers a wide variety of advanced spa-like services and medical level procedures. These include procedures such as laser hair removal, IPL skin rejuvenation, chemical skin peels, permanent makeup, and microdermabrasion.